Bahrain: Nine arrested for "misusing social media"
Nine people have been arrested in Bahrain for “misusing social media”, a charge which is punishable by a fine or up to two years in prison. Human rights defender Nabeel Rajab was last week sentenced to six months in prison over a tweet he posted which was deemed insulting to public institutions. Rajab has been bailed, and tweeted on 21 January that he will appeal his conviction on 11 February. Human Rights Watch has dedicated seven pages of its 25th annual report to Bahrain. The World Report 2015, released on Thursday, reviews the human rights situation in over 90 countries. The report states that over 200 defendants have been sentenced to long stints in prison by the Bahraini courts on charges of national security or terrorism, with at least 70 of those being sentenced to life. 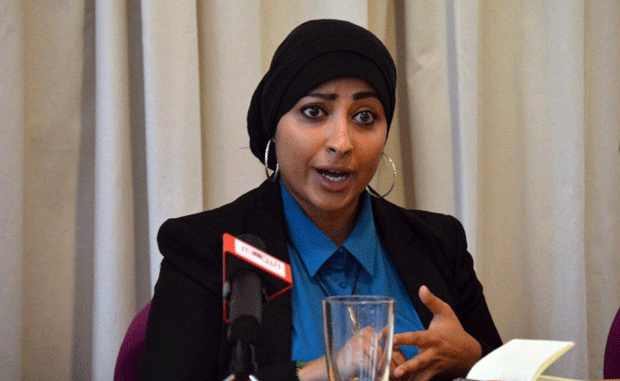 In December, co-director of the Gulf Center for Human Rights (GCHR), Maryam Al-Khawaja, boycotted a court hearing which saw her sentenced to one year in prison. Al-Khawaja was charged with assaulting two policewomen last year when she traveled to Bahrain to visit her father Abdulhadi, who is currently serving a life sentence for his involvement in anti-government protests in 2011. In related news, the GCHR website was yesterday reportedly blocked in the United Arab Emirates. Al-Khawaja’s sister Zainab was arrested in October on charges of insulting the king, and gave birth to her second child just a few days before being sentenced to three years in prison. She was then sentenced to an additional 16 months less than a week later, on separate charges of insulting a public official.